A couple of weeks ago, we announced Jelastic’s new direction to sell our products both to hosters (public cloud) and directly to enterprises (private and hybrid cloud), which was welcomed by our current customers and industry analysts. We also introduced a new term to the market, Platform-as-Infrastructure, which probably deserves some explanation. 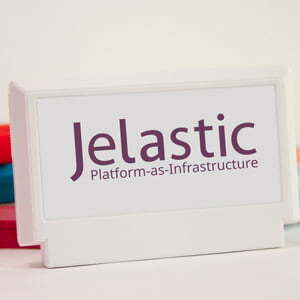 Jelastic has been delivering PaaS solutions to hosting service providers with great success. At this point, we have over 25 service providers providing Platform-as-a-Service to thousands of developers across the world. We are doubling our usage every quarter and that growth shows no sign of slowing. But Jelastic is much more than just a PaaS. In fact, when we provide our software to hosters, it encompasses PaaS functionality and a complete infrastructure. Our solution can be installed on bare metal and delivers a cloud infrastructure and an integrated PaaS, right out of the box. So what do you call a product that delivers all of the ease-of-use of PaaS with the configurability and flexibility of IaaS? Well, that’s Platform-as-Infrastructure – PaaS and IaaS in one. Compared to other solutions, Jelastic’s Platform-as-Infrastructure is unique in its advanced functionality and its simplicity. Let’s face it, it’s a complicated cloud world out there. Enterprise CTOs and CIOs are looking to move to a cloud infrastructure to deliver exceptional IT services to their developers and their customers. But which environment to choose? Public cloud solutions for business-critical applications? Private clouds built from proprietary or open source technologies that require complex integrations from a number of vendors and maybe even a systems integrator to tie them all together? Or, perhaps they should rely on traditional server virtualization technologies, regardless of the expensive licensing costs? Hosting Service Providers are looking for a competitive solution to those “big” cloud vendors out there. How do they attract and retain customers looking for a scalable, cost-effective application environment? And developers just want an environment that allows them to build the best application functionality they can, with the right app servers, databases and tools for the job. They need an environment that delivers scalability, availability and performance without complicated set-up and management. They need to be based on standards, without any proprietary APIs to code to or be locked into. And they need to do all of this at the lowest cost possible. Enter Jelastic Platform-as-Infrastructure. Enterprises can slash costs and build a secure, scalable private cloud with our turnkey solution. Hosting providers can quickly address the developer market and deliver advanced PaaS functionality while achieving incredible application density and performance. And developers get the advantages of an advanced application environment that delivers true elastic scaling, for the highest performance at the lowest cost. Platform-as-Infrastructure. It’s the cloud unleashed.